Committing to a tattoo means picking the right place to get it done. Across Minnesota, you’ll find tattoo parlors that you can count on. Whether you’re looking for an elaborate design to add to your sleeve or a small and subtle piece, you’ll find a clean environment and masterful artists at the 10 best tattoo parlors in the state. Jackalope Tattoo is a collective of eight exceptionally talented women artists. In its first half-decade, the shop has won many awards, garnered statewide and national media attention, including HuffPost mentions and inclusion on several “Best of” lists (including this one). With eight artists’ portfolios to choose from, you’re sure to find a style you like. Anchors End—the “world’s friendliest tattoo studio”—has reached its level of acclaim on the basic premises of client service, cleanliness, and professionalism. That’s not to say that the artists in their two studios (Duluth and Hudson) shouldn’t have egos, because their work is incredible! This one-woman shop is sure to impress. Lindsee Boyer has worked in some of the best shops, is known for her fantastic line work and bright colors, and is simply one of the state’s best artists. If you’re looking for bold, eye-popping ink, Lindsee is the lady you need to see—by appointment only, though. The nine artists at St. Paul’s Beloved Studios are incredibly talented ink masters who can translate your vision from paper or ponderance to art on your skin. Beloved is a custom tattoo studio that doesn’t take walk-ins, so be sure to check availability once you determine which artist best matches your style and sensibilities. Good Times Tattoo Company is the best team of tattoitsts you will find in Minnesota’s St. Croix River Valley. 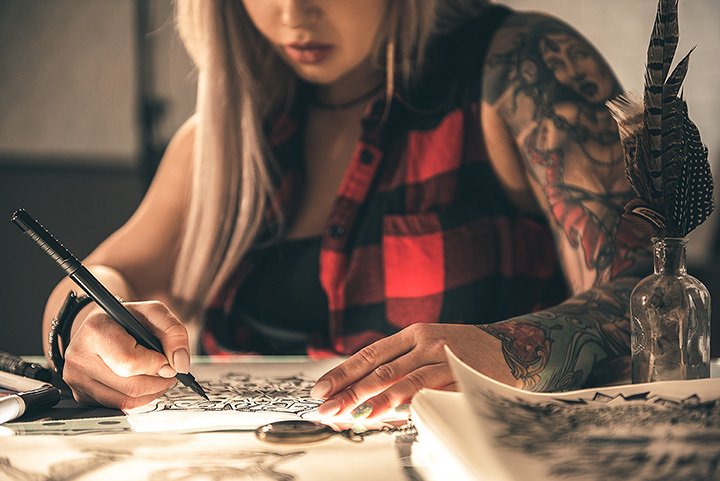 No matter what kind of ink you’re looking for—a custom, multi-session backpiece or flash art from the book, they can accommodate you with professionalism and skilled artistry. For more than two decades, Ink Lab—in Minneapolis’ Lyn-Lake/Uptown district—has been creating some of the finest art around on the skin of Minnesotans. Their award-winning artists formulate their ideas and apply them to clients in the Ink Lab’s clean, friendly space. On the national scene, Electric Dragonland may be the most respected tattoo studio in Minnesota. Their experienced staff of talented, award-winning artists creates tattoos on a custom-only basis, so that it becomes a natural part of the client’s body. They do not accept walk-ins, so be sure to check availability and book a consultation ahead of time. Kat’s Tats, based in Owatonna, in the south-central part of the state, has more ratings and reviews than any of Minnesota’s other top-rated studios. How is that you may ask? Kat’s also launched one of the state’s first mobile tattoo units—so Kat has brought her art to clients across Minnesota. Her skills as an ink artists speak to the reviews. Scottish Rose Tattoo in Fridley was the brainchild of a wife-and-husband team of artists, who used their daughter’s nickname as inspiration for the studio’s moniker. They’ve since added other talented artists to the studio, but the consistent artistry and talent of the studio has kept loyal clients coming back for more ink over the years.